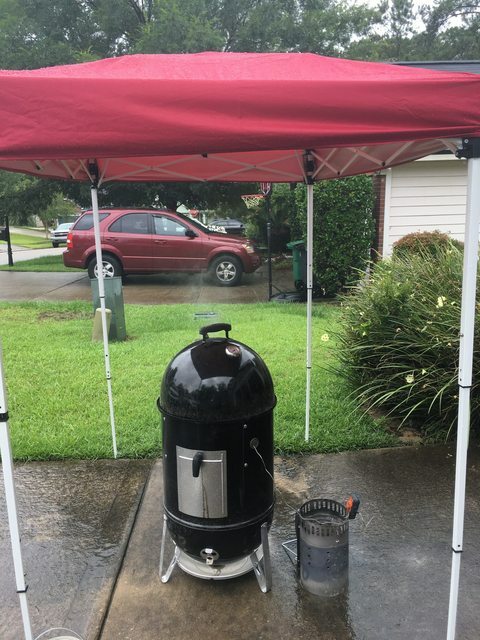 Thread: My First Smoke Day!!!! My plans went all wonky this weekend with the impending storm and friends being in town, so my cook got put off until Monday. 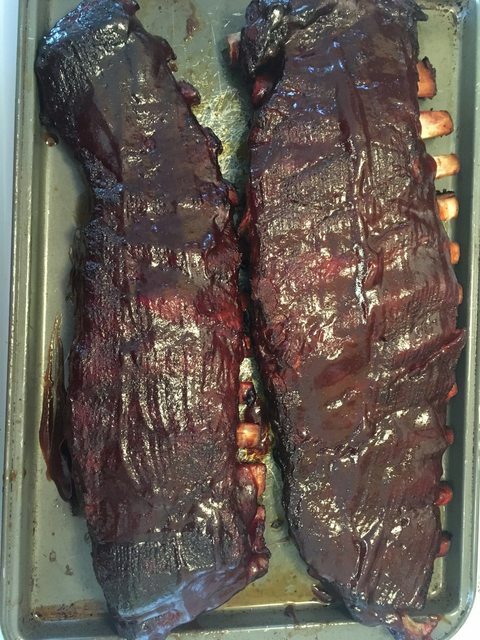 When I've done ribs, I've always done baby backs, I have seen a bunch of y'all do spares and have wanted to do them ever since. Picked up a cryovac bag of spares weighing in at 9 lbs. 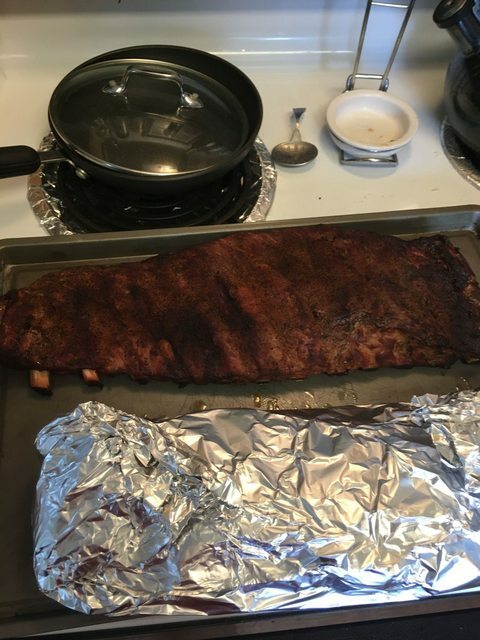 I'm not sure why, but for some reason, my stupid brain had it set that there was only one slab in there. I should've known better considering the weight, but was surprised when I opened the bag and there were two in there. Whoops. 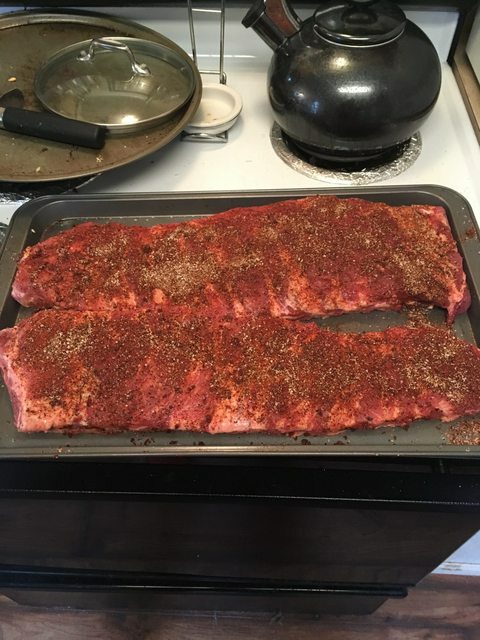 Thanks to the great prep video Chris has, I prepped the spares in short fashion and got them seasoned up and ready for the smoker. After about 3 hours, I drizzled honey from my friend's honey bees and some apple juice and foiled them up. 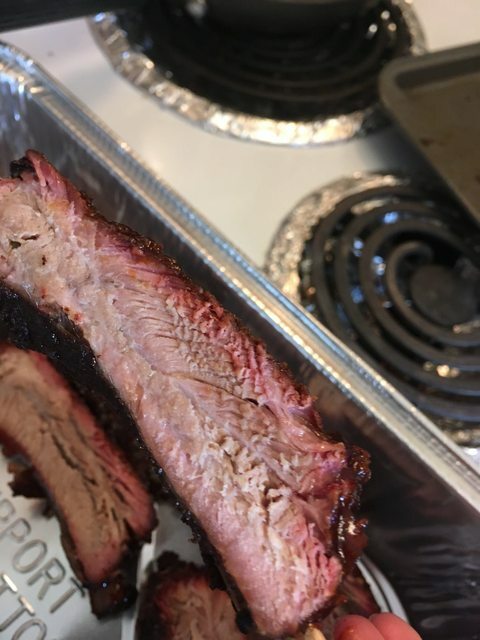 And thus, my first Smoke Day is in the books! Thanks for looking...hope y'all had a great weekend! 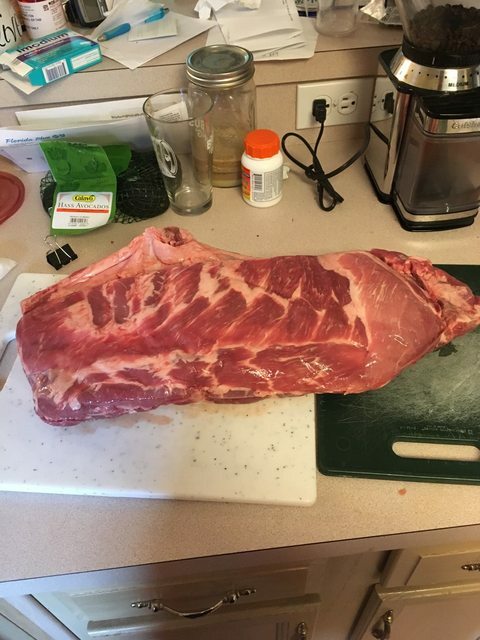 I always cook more than I plan for Smoke Day myself. Leftovers for weeks is part of the fun. Whoopie Pies look fantastic, and your nails are lovely. Hahahaha!! They were just done on Saturday!!! 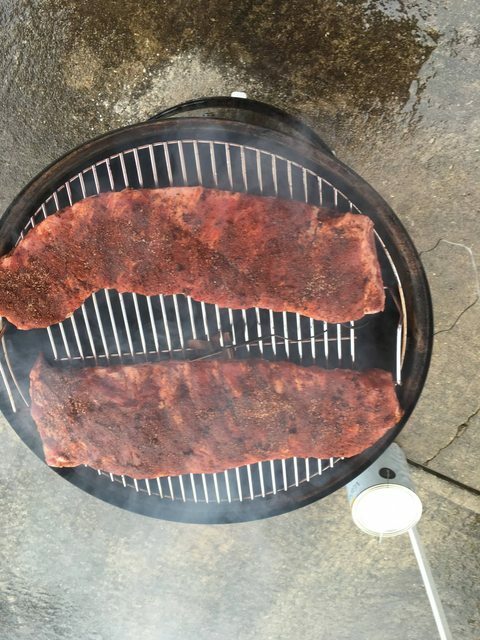 Those ribs look great Dan and your nails are truly gorgeous I haven't done spares in a couple of years as we like Costco's BBs so much. Maybe time to do a few racks of spares. 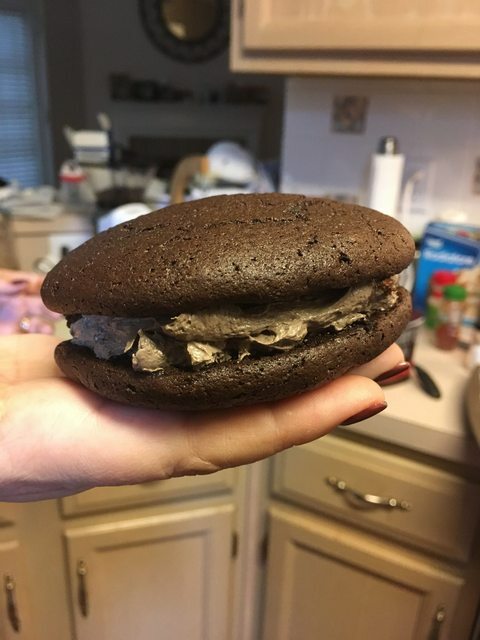 The Whoopie looks great too. 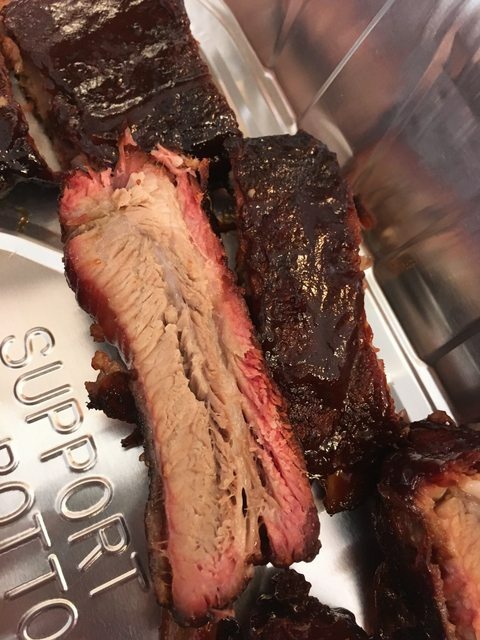 You blew it Dan, it's going to be hard to improve that for the future smoke day cooks. Nicely done!